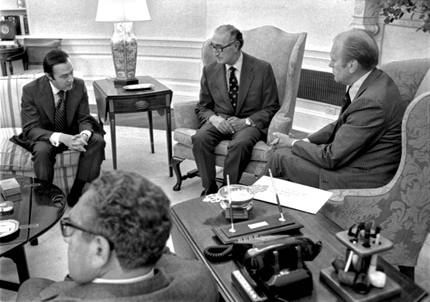 In Small Things Remembered » Secretary of State Henry Kissinger and Special Envoy Mohammed Naim exchange visits. Special Envoy Mohammed Naim exchange visits. a. Naim meets with the Secretary and President Gerald R. Ford (right) in the Oval Office. Samad Ghaus, Deputy Foreign Minister (left). b. Henry Kissinger in Afghanistan. 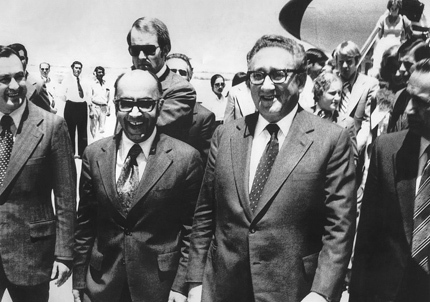 L to R: Ghaus; Wahid Abdullah, Acting Minister of Foreign Affairs; Kissinger; Ali Ahmed Khurham, Minister of Planning. U.S.-Afghan initiatives. In return, Daoud sent his brother Mohammed Naim to Washington, D.C., as a Special Envoy in 1976. 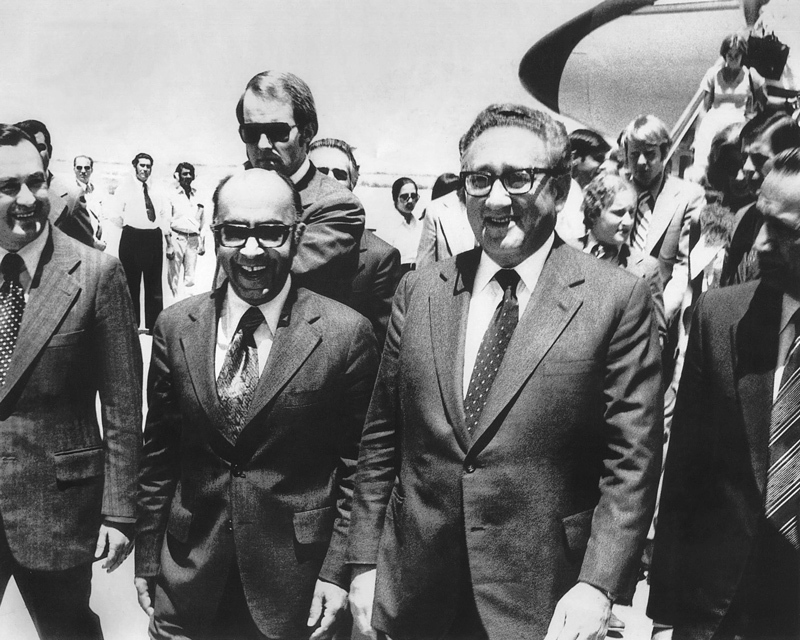 Kissinger traveled to Kabul a month later for continued discussions. During this period, USAID began projects to build health clinics and primary schools in rural areas of Afghanistan. Courtesy of the Gerald R. Ford Presidential Library. B0447-8. White House Photograph by Ricardo Thomas.